Beginning today, we start our series of interviews with the authors featured in the Tempororal Logbook 2: Further Journeys. Watch the following video of The Cuckoo In the Winter author Craig Charlesworth as he talks to That’s York about the book, his inspiration behind writing it, and whether or not he believes in ghosts. Our series of interviews with the authors of Grave Warnings concludes today with our final interview with Sarah Parry author of ‘Deceased Estate’. Some of my earliest memories involve writing with my sister, making up our own stories and publishing them in books which we would illustrate. Everyone loves reading and telling stories – writing them down was just an extension of this. The word ‘deceased estate’ has always fascinated me. It always made me think about a house being dead. I wrote a horror story based on this idea years ago after a particularly memorable nightmare, so it was great to come back and revisit it. As I was writing, I thought about other things that people call old abandoned houses, like ‘death-traps’, and the story just grew from there. What was the biggest challenge in writing your story? Keeping the balance between comedy and horror was difficult. Horror should be enjoyable to read, not depressing, so it was important to keep the characters just likeable, (or cheerfully despicable), enough to keep your interest, but unlikeable enough that their fate doesn’t make you want to cry at the end. I love horror when it’s using the supernatural to represent human evil – all monsters, really, in the end, are human, and people in horror often tend to bring their fates on themselves. I tried to bring this out as well, and hopefully I’ve succeeded in doing this. Sir Arthur Conan Doyle is one of the greatest writers who ever lived. His detective stories are world-renowned, but his horror stories and medical fiction have the same brilliant combination of intelligence, humor and detail. Growing up, though, I obsessively read the works of K.A. Applegate, Jude Watson and Emily Rodda who are all geniuses at creating great characters you feel like you know after just a few pages and worlds you can just fall into. Our third in the series of interviews with the authors of Grave Warnings continues today with Hamish Crawford author of the story, Vacancy. The desire to write seized me at an early age and never let go. At an early age, comedy writing fascinated me–and as a child of the 1980s, Lego allowed me to build worlds and make up stories. Those two divergent poles (jokes and building pirate ships) still shape a lot of my writing. Lonely men, and the difficulty adults have forming new friendships without questioning the other person or themselves. From there, the horror elements spun out naturally. It seemed that a character who spends too much time thinking to himself would have a slightly unbalanced view of the world. If strange things started happening to him, he wouldn’t quite know how to react to it–or he’d doubt himself. I scare very easily, but am aware that horror fans don’t! Also, it takes a lot of skill to generate the kind of M.R. James/H.P. Lovecraft atmosphere. Their writing is very slow and has a lot of implication to it–often times the scares are just barely hinted at–and I really wanted to capture that kind of dread. I hope I got some of the way there! Do you have a favourite author, and if so, why? I have too many to count really–but in the horror field, I want to say a special word about Bram Stoker. Dracula is a strange book–it has exerted such a powerful hold on pop culture, has had such a legacy, and is pored over and studied in such detail … and all in ways, I feel, Stoker would never have considered. The book itself is alternately genius and drivel–you’ve got the fascinating background in Castle Dracula, the eerie flight of the Demeter, the wonderful character of Mina Harker, and Renfield’s subplot in the former camp, and then you’ve got all the house-hunting and misogyny and that pompous old dullard Van Helsing in the latter camp. And yet, it’s still an entirely absorbing, fascinating, and scary read, for all its faults. Maybe because of them. Continuing our interviews with the authors of “Grave Warnings”, today we feature an interview with Jodie van de Wetering, author of “The Specimen”. Words have always been my thing, and I’ve been pushing them around on paper ever since I was able to hold a pencil. There are two things I love about writing. The first is the freedom to create your own world, to tell any kind of story, to take the reader anywhere and share any idea, emotion, sensation – if you can dream it, you can weave it into a story. The second is the joy of words itself, playing with phrases and rhythm, the magic and mechanics of language. The location for The Specimen came directly from my travels through north-western New South Wales, when I was a regional journalist covering that area. It’s a very beautiful part of the world in a sparse, wild way, with great big skies and endless country stretching away to the horizon in all directions. You’ll often be the only car on the road so you get that whole sky, that whole world, all to yourself. It makes you feel small, and reminds you how insignificant and fragile we are. It’s good to be reminded of that sometimes. From there the… events… of The Specimen build on that idea of humanity as an intruder in this wild, vast space, and that there are weird things out there that care not for our rules or logic. Things that consider us prey. If they consider us at all. This story’s been through quite a few different versions over the last two or three years, as it’s bounced around different formats and potential homes. Those practical elements change the story itself – for instance the longer the story, the more structure it needs and the more defined the workings of the story world need to be to sustain it. The Specimen started as a very short flash fiction idea where nothing was explained or explored at all, because it was all about that concept of things falling outside our understanding of how the world works and not being interested in conforming to our ideas or explaining themselves. It’s since become longer and the rules of its internal universe have unfurled themselves further. 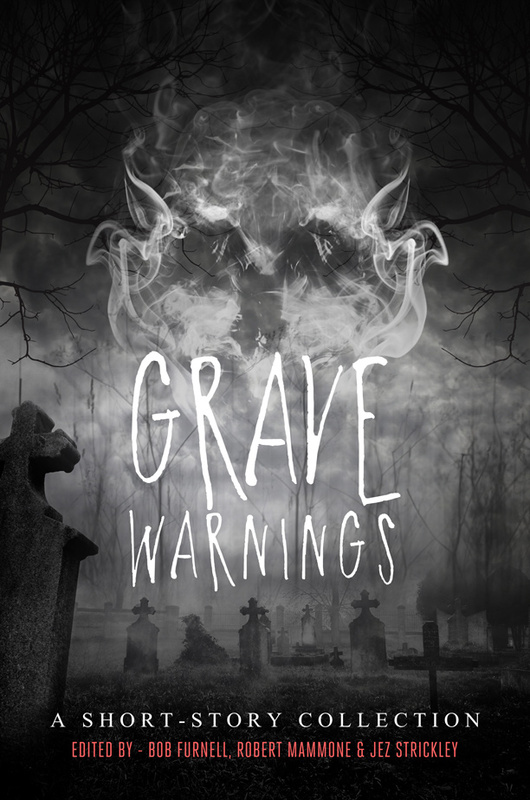 Beginning today, and over the next little while, we’ll be featuring short interviews with each of the authors who are published in GRAVE WARNINGS. 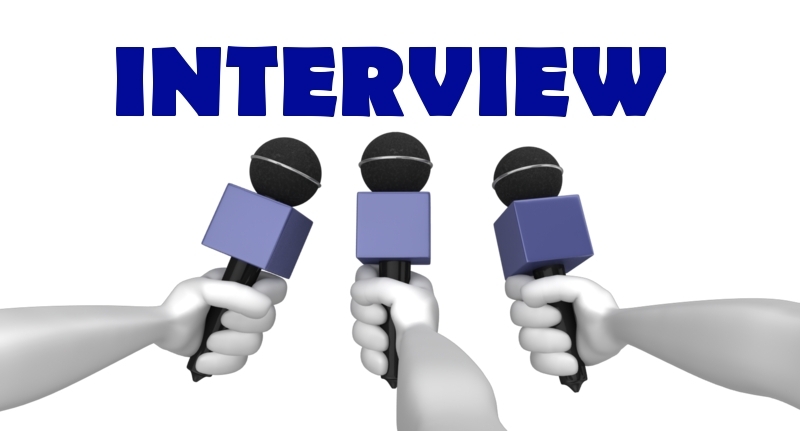 First up is an interview with Craig Charlesworth, who’s story, “The Dumb Show” is featured in the book. I’d been fascinated by books from a very early age and the notion that I could write stories myself grew out of that. I used to scribble stories in my notebook at school, as did a friend of mine. We’d read through each other’s stuff and critique it. Then for a long time I put it to one side; going to university and getting a job took precedence. I started getting interested again when Doctor Who returned to TV in 2005, I’d been a fan of the show in my childhood and really liked the new show and I started getting into online fandom. I ended up scribbling down some fan fiction just for fun, which led to me getting in touch with Bob Furnell at The Doctor Who Project. Having my writing critiqued and edited by a good team was great and encouraged me to do more, including writing a few novels. Despite my enthusiasm this was only ever a hobby, the idea of actually having my work published was never really at the front of my mind because it seemed like such a long shot that it would ever happen. Thanks to Pencil Tip, however, my work has finally seen print! This is going to sound a bit weird, but it was actually a nightmare I had. I woke up one night shrieking having had this horrible dream and immediately though ‘that’s a brilliant idea for a story!’ I woke my wife up to tell her about it, much to her chagrin, and then I was afraid to go back to sleep in case I forgot it; fortunately I didn’t. I was planning to write the story anyway but within days of coming up with the idea Bob and the guys at Pencil Tip mentioned they were planning a collection of ghost/horror stories and it just seemed like the planets were in alignment. I submitted the idea and was delighted to have it accepted. Finding the time. The story itself actually emerged more-or-less pre-formed in my head and when I broke it down it all seemed to fit together nicely, there weren’t any big structural problems that I struggled to overcome. But my wife and I recently had our first baby and between working full time and changing nappies, there wasn’t a lot of time for writing! I’m a big fan of Paul Magrs, I got into him through his Doctor Who novels and have since read all his Brenda and Effie novels, which are great. I like him because he’s such a great ideas man, with a stunning imagination. I also like that he’s created a universe that’s his, and even when he’s writing for something like Doctor Who he makes the show fit into HIS universe, not the other way around. It’s really audacious and it works really well. Alan Moore is another, a writer with a dizzying intellect and an outstanding imagination who doesn’t get the credit he deserves because he’s chosen to work primarily in comics. Patrick Suskind is another in the same bracket; he has an absolutely stunning imagination and the nerve to write stuff that nobody else would dream of. Specifically on ghost stories, since that’s why we’re here, I love The Turn of the Screw by Henry James, The Woman in Black by Susan Hill and The Little Stranger by Sarah Waters. Those are all absolutely stunning.